Colonial Manor of Randolph is a modern, state-of-the-art care center, located at 811 South Main Street, on the southern edge of the city. 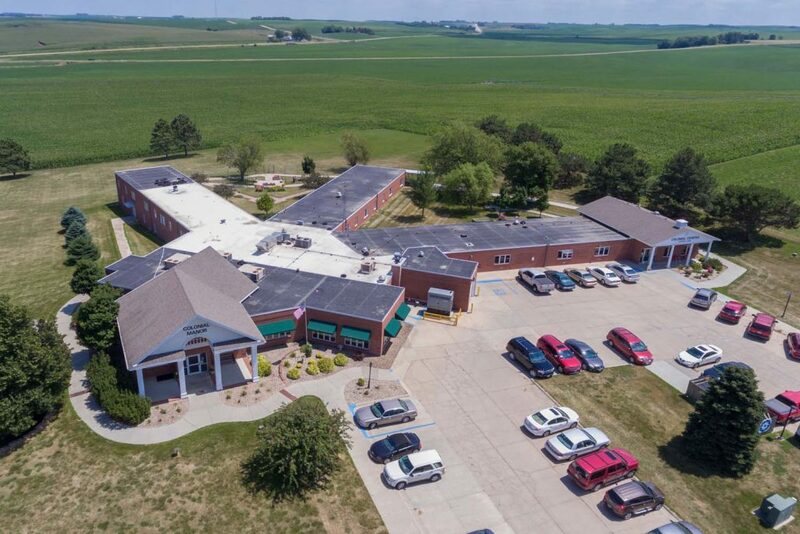 Our convenient location is easy to find and serves Cedar County, Dixon County, Wayne County, and the surrounding areas. We are only a short driving distance to US Highway 20 and just four miles east of US Highway 81. We feature 44 beds and beautiful spacious rooms in both private and semi-private settings. Guests will enjoy well-appointed accommodations, a diverse activities program, nutritious satisfying menus, housekeeping and laundry services, and beautifully landscaped grounds.